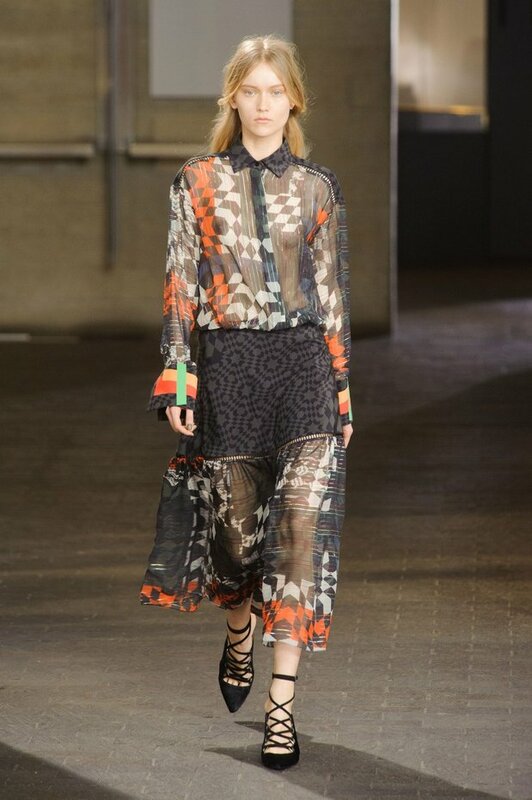 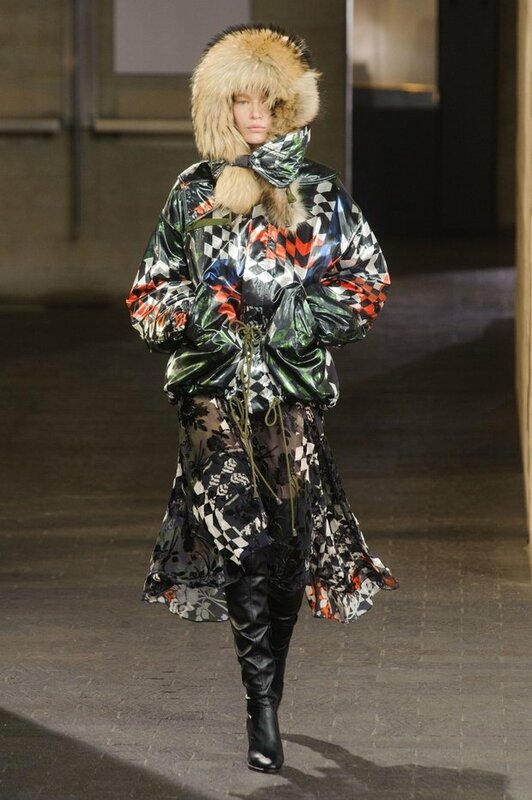 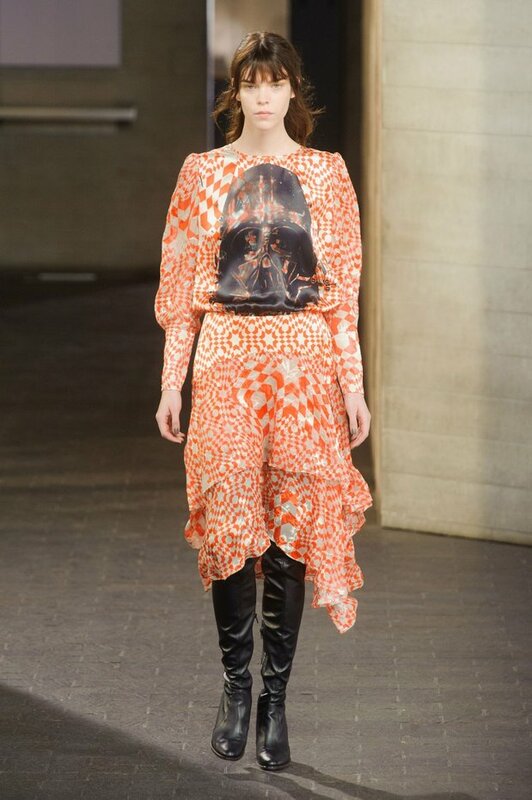 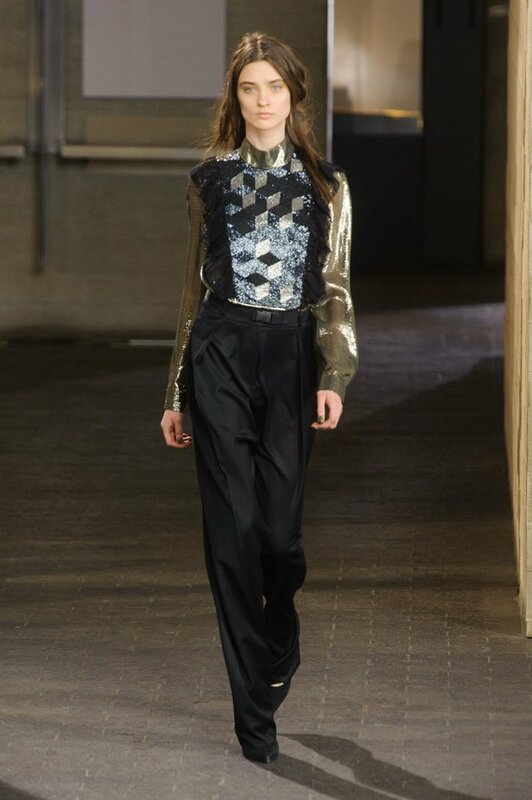 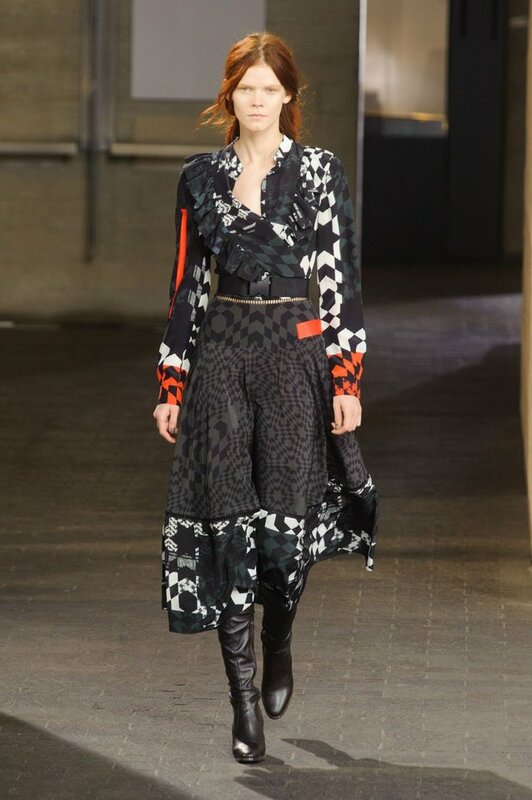 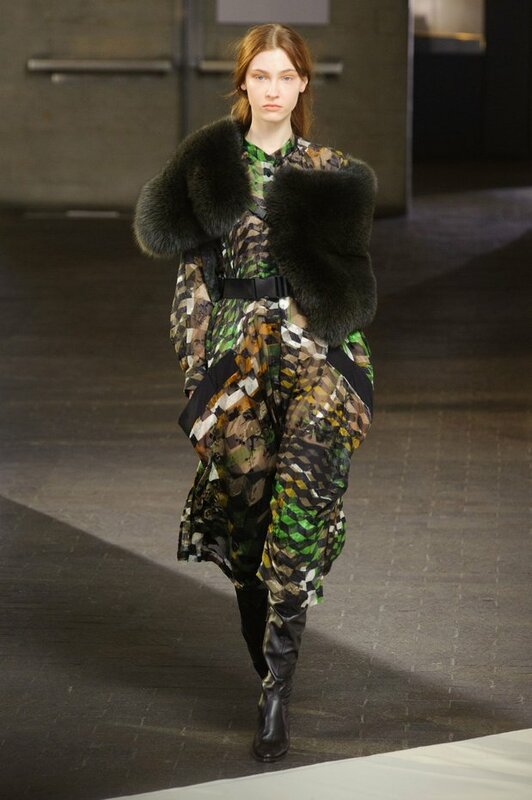 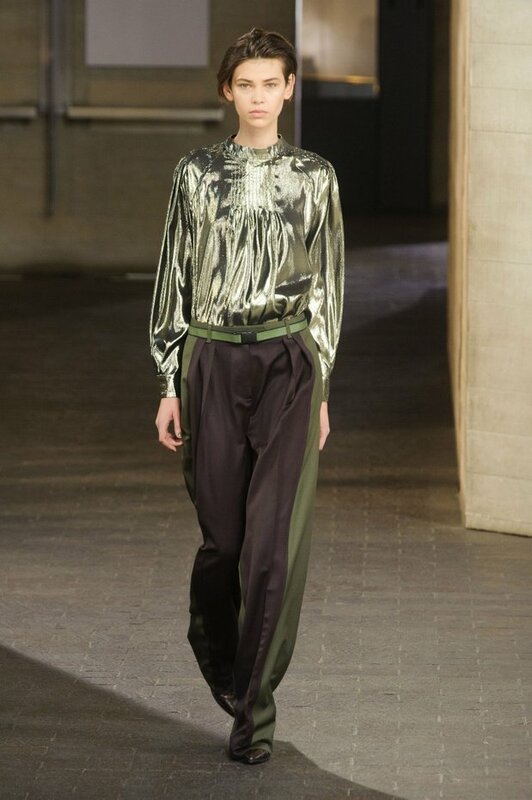 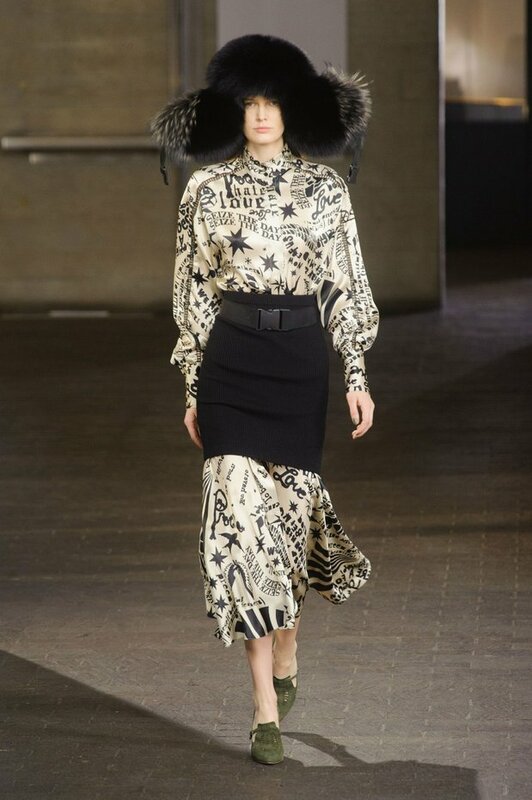 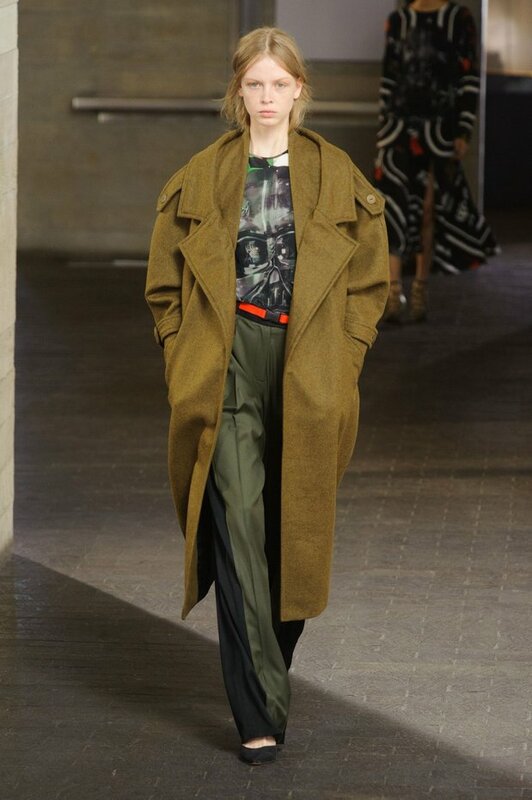 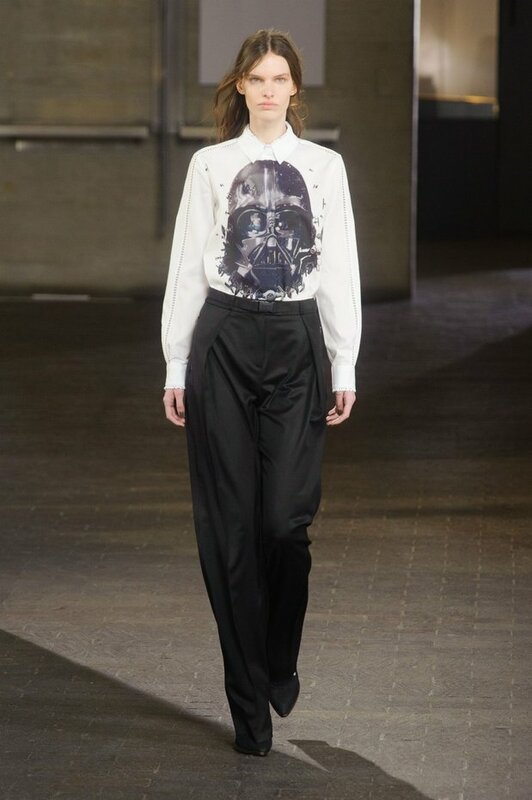 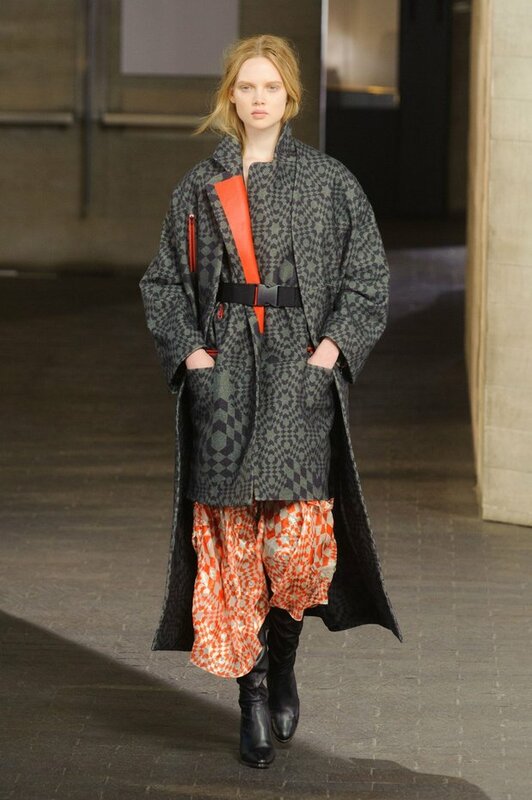 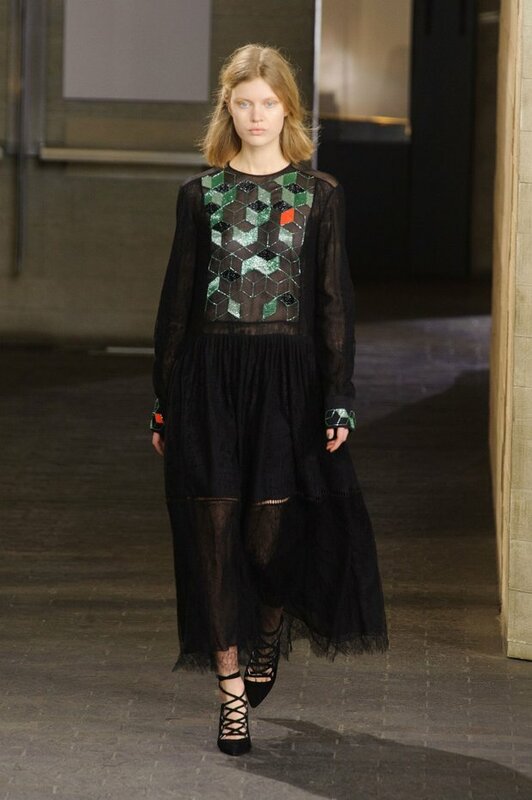 After Rodarte show in New York last week, we have seen Star Wars prints in London too. 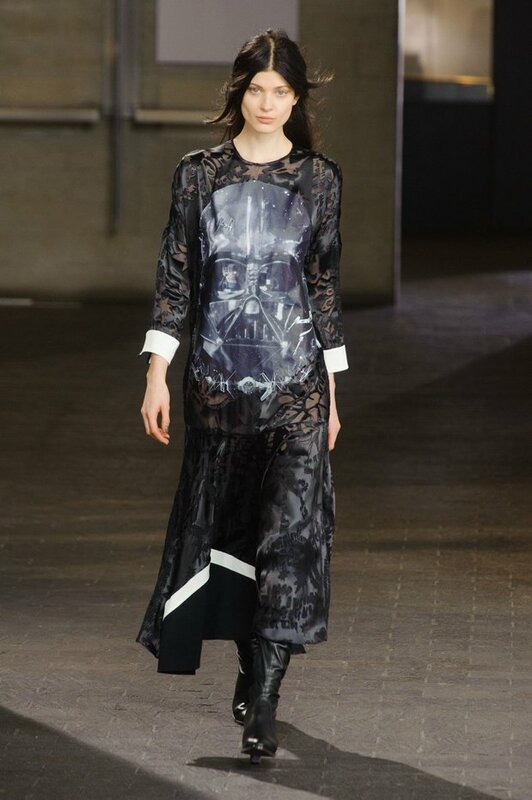 It seems to be a global trend this season, but it is also the first film Justin Thornton and Thea Bregazzi saw in the cinema and hence prints of Darth Vader’s masks on dresses and tops. 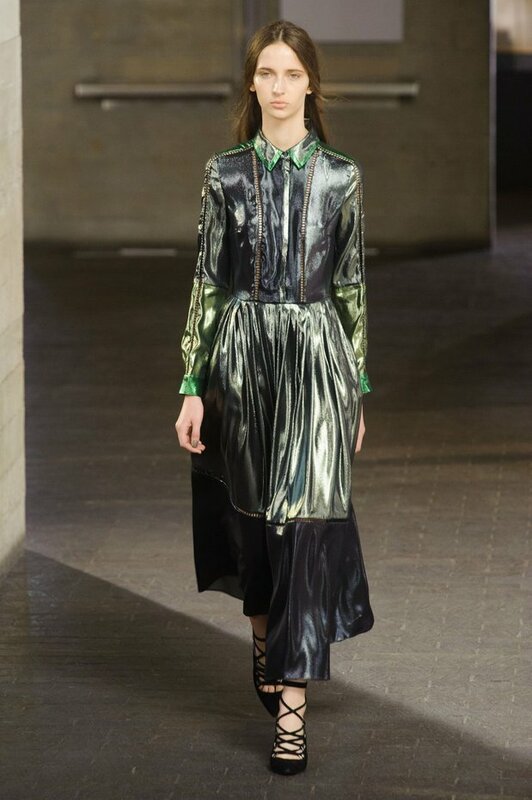 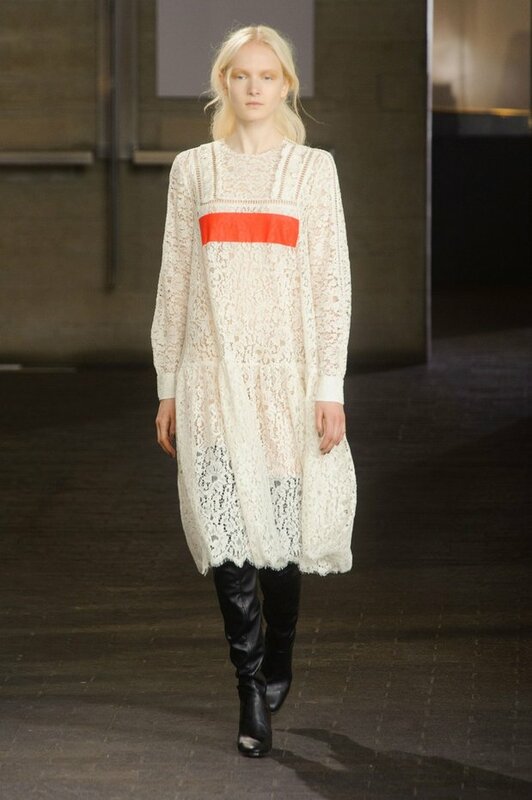 The collection is all about 1970-s and androgynous look, but there are also some beautiful loose-fitted romantic dresses. 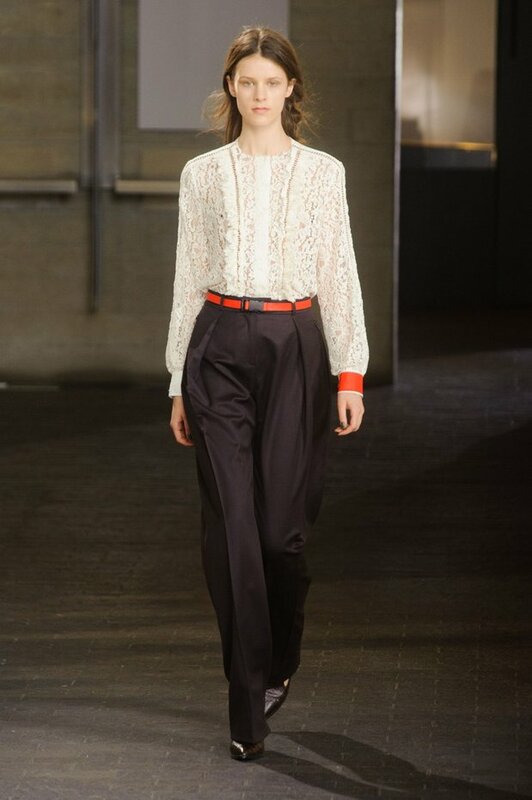 It is also influenced by Woody Allen’s Annie Hall, another film that premiered in 1977. 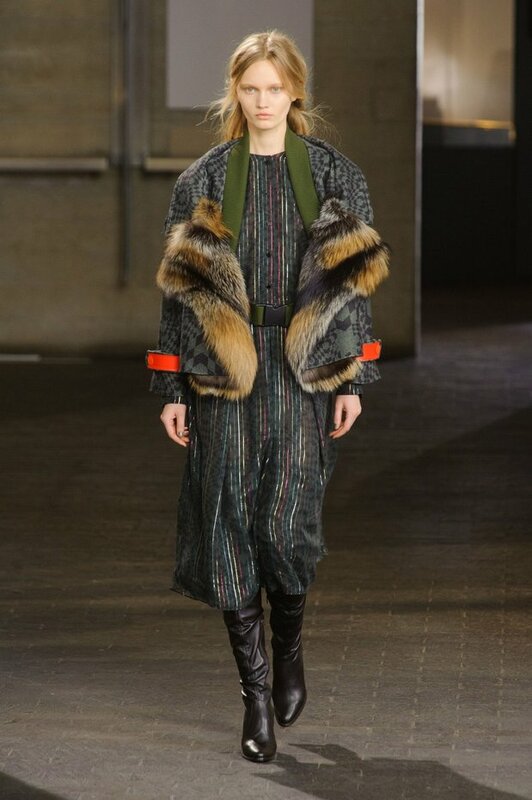 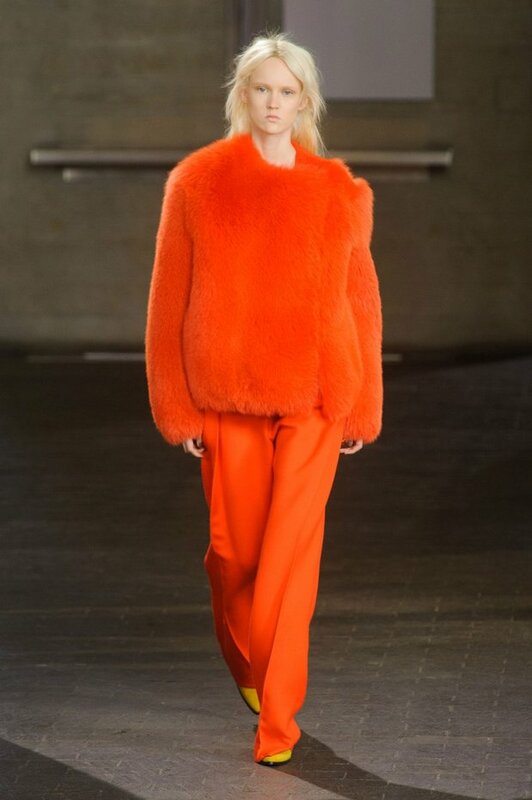 Bright colors, sci-fi prints, colored fur, lace and metallic colors were all blended together and the result is a very appealing.